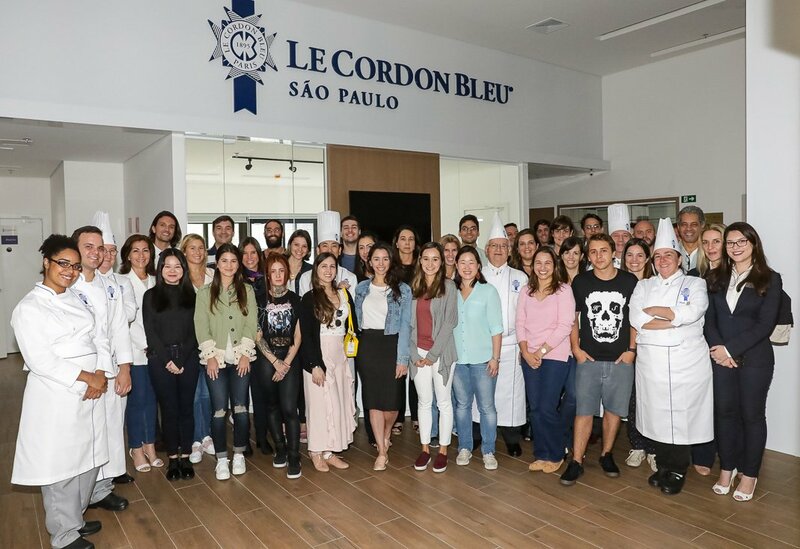 May 19, 2018 was a milestone for the Le Cordon Bleu Institute of Culinary Arts in São Paulo, which received 32 students for the traditional Orientation Day, held in all institutes distributed throughout the world. The students are part of the first two classes of the institute, Basic Cuisine and Basic Pâtisserie. On this day, the students were able to meet the classrooms, were presented to the staff and chefs teachers and received a uniform and the student kit, which among other materials, has a kit of knives, indispensable tools for the students' daily routine in laboratories of gastronomy. Who leads the academic and content area of ​​both São Paulo and Rio de Janeiro - which is expected to open in August of this year - is the technical director chef Patrick Martin, who landed in Brazil about three months ago to guarantee the same quality and standard of teaching around the world. For 25 years at Le Cordon Bleu, the Institute's International Ambassador was responsible for the technical development and opening of schools in Mexico and Tokyo and served in schools in France, London and the United States. Among the awards won, Martin received the title of Chef of the Year in Paris, in the "Trophée National". For the Cuisine courses, the students will have as leader the chef Jean Yves Poirey, who left France more than 30 years ago, when he landed on Copacabana Beach. In the list of restaurants he headed, the chef passed Bossa Café, Bossa Mar, Asian, and Skylab, on the 30th floor of the Othon Palace. Chef Renata Braune assumes the areas of Preparation and Production of Le Cordon Bleu São Paulo. Formed at Le Cordon Bleu in Paris, Braune was one of the first women to serve as chef in Brazil and the first female chef to compete in the Toque d'or, which selects Brazilian candidates for Bocuse d'or. The chef was also in charge of Le Chef Rouge and its own restaurant, La Reina Deli Bar. 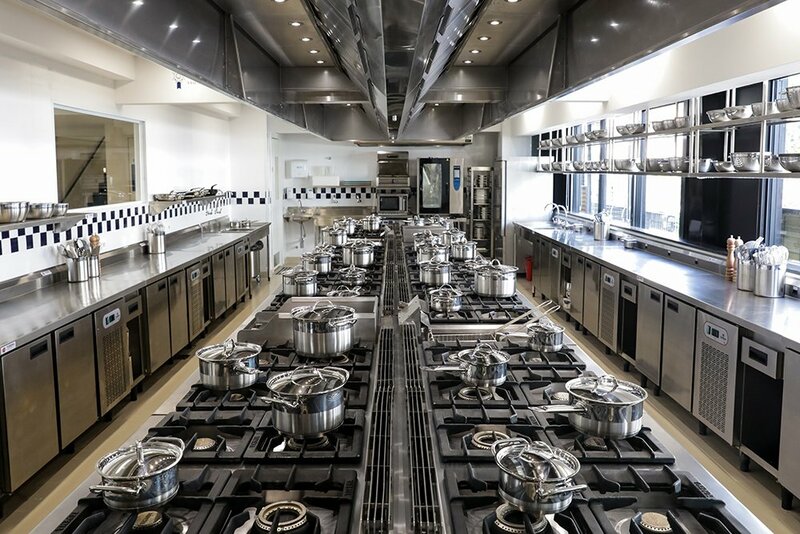 The institute Le Cordon Bleu São Paulo offers students seven professional kitchens: two dedicated to demonstration classes, two for cooking, one for confectionery and bakery, one for polyvalent and one for preparation and production, as well as an auditorium for classes and a library. 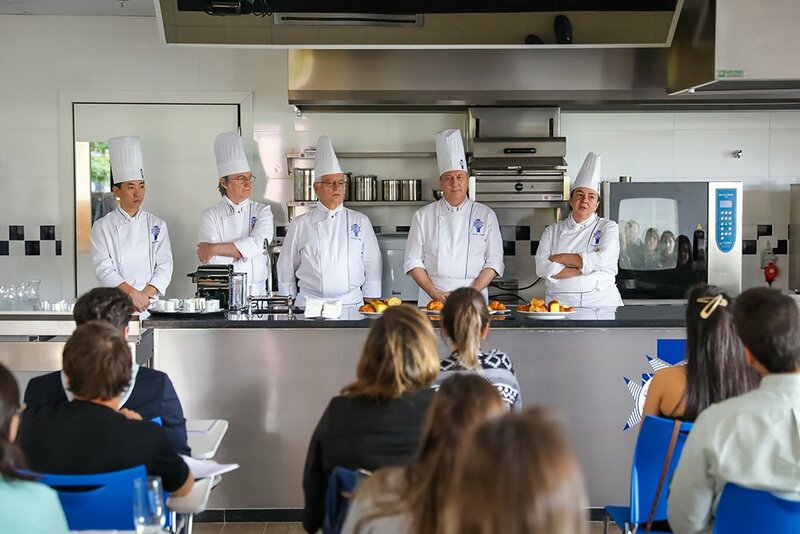 Equipped with the latest technologies, the new Le Cordon Bleu Brazilian Institute will be able to provide Excellence in education within an environment meeting the standards of international high cuisine. Le Cordon Bleu São Paulo Institute offers the Diplôme de Cuisine and Diplôme de Pâtisserie. Each diploma is divided into three certificates, one for each level, being Basic, Intermediate and Superior. After completing the two diplomas, which can be held in up to nine months, students will be able to obtain the highest level with the Grand Diplôme. All courses are recognized worldwide by companies and professionals in the world of gastronomy. In this regard, training at Le Cordon Bleu is an official life passport for students to an international successful career. Applications for the São Paulo campus are available at the institute website.